One of Marc Bergevin’s biggest blemishes as general manager of the Montreal Canadiens is how he has failed to acquire good centres. Quite frankly, the lack of depth up the middle during his tenure has gotten progressively worse, and the quality of the defence corps has gone downhill in the last two years. This is Bergevin’s sixth season with the Habs, and the team has increasingly worse results during his tenure. Where did all their depth go? Prior to Bergevin’s arrival, the depth at centre was never good, but this article will judge his work, not his predecessor’s. 2012-13 was Bergevin’s first season with the team, and the main centres that year were David Desharnais, Tomas Plekanec and Lars Eller, with the fourth spot being a rotation of various players. Those three would remain the main centres for a good chunk of Bergevin’s tenure, but they have all been traded. Desharnais was traded to the Edmonton Oilers for defenceman Brandon Davidson. 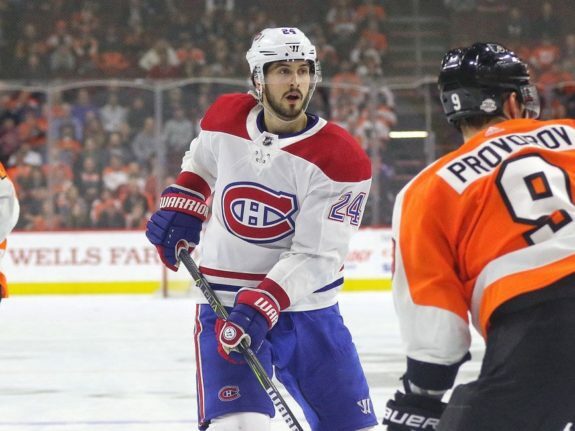 Tomas Plekanec was sent to Toronto for a second rounder and two prospects, neither of which are centres. Eller went to Washington for two second-rounders. Plekanec was the best of the bunch and was a good second-line centre in his prime. The other two were third-liners. Perhaps the Habs draft a centre or two with the second-round picks, but the odds of them becoming a top NHL centre is slim and they need someone now, let alone thinking about four years down the road. The only natural centre on the current roster is Phillip Danault, who is an average number-two/excellent number-three. As mentioned in a previous article, most top centres are acquired at the top end of the draft so a lot of hope was riding on Alex Galchenyuk to be that number one centre. The organization quickly deemed he wasn’t that player and the search continues to this day. Out of 39 draft picks the Habs have made since 2012, only 11 centres have been drafted. Most of these centres were drafted in the third round or later, which are long shots at that point. Other than the converted Galchenyuk, the only other centre they picked in the first round is Ryan Poehling, whose upside is second-liner. Even when it comes to trades, Bergevin has only traded for fourth line centres, with the exception of Danault. They have arguably the weakest centre corps in the league which has been a problem since Bergevin arrived and he has done nothing to fix it. Acquiring a winger in Jonathan Drouin and trying to make him into a centre doesn’t count, as it is clear he is not fit for that role, as Bergevin himself has said so before. In some ways, the shape of the defence corps is more frustrating because they had great assets in the first place. After the Habs selected Mikhail Sergachev with the ninth pick in 2016, the thought of having P.K. Subban and Sergachev as the team’s top pairing for the next decade seemed almost too good to be true. It was indeed too good to be true as less than a year later, Subban was traded for Shea Weber before Sergachev was later dealt for Drouin. The sting of trading Subban has never really gone away, and with Sergachev thriving in Tampa Bay and Drouin struggling, it’s extra salt in the wound. 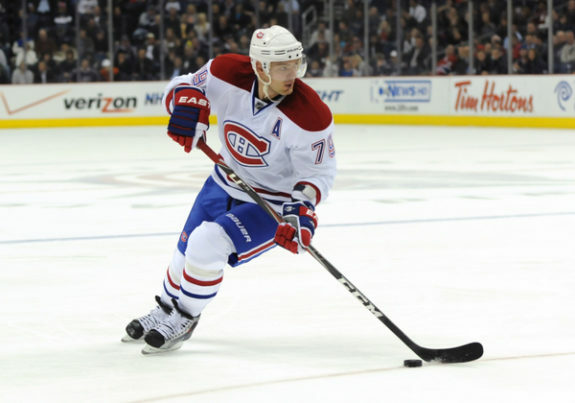 Naturally, the day would come when Andrei Markov would no longer be a Hab. However, with the way everything has gone since he left, Markov would be an improvement over some of the current defencemen. While he was slowing down no doubt due to age and multiple knee injuries, he has the hockey IQ and skill to make up for it. Most nights, he would be better than Karl Alzner and/or Jordie Benn. At least Bergevin did well when he got a top-four defender in Jeff Petry for a relatively cheap price in 2015, and Petry has done his best in the absence of Weber this season. In terms of others that potentially got away, Nathan Beaulieu was one of those players that had a lot of promise but never could quite glue it all together at once. He was a great skater that was capable of making good plays, but he would also lose focus and make poor decisions. He hasn’t been much better in Buffalo, and the Sabres have been pretty awful as well. Thirteen out of 39 picks were used on defencemen in the Bergevin-era drafts, and so far the success rate there has been better compared to centres. Sergachev and Victor Mete are full-time NHLers this year, with 2015 first-rounder Noah Juulsen also making his NHL debut. When it comes down to it, there is no good reason as to why Bergevin hasn’t acquired a number-one centre or depleted the defence corps. Over the years, Carey Price’s play has covered up a lot of issues, but when he is injured or not playing well, it shows how poorly built the Habs are. If the Habs go into next season thinking they are contenders without some major upgrades at centre and defence, they will continue to be mediocre. Unless big changes occur, the dream of having a 25th Stanley Cup championship banner joining the other 24 in the Bell Centre rafters will continue to be out of reach.